Expect the Unexpected. And Then Ride There. Ever since its introduction, Honda’s CB500X has been a breakaway favorite with riders. That’s no surprise to anybody who’s ridden one: the CB500X is an adventure-style motorcycle that delivers comfort, versatility and a can-do attitude at a surprisingly affordable price. And to make a great choice even better, the 2016 CB500X features a bucketful of improvements this year. You still get plenty of performance, and the capability to excel at everything from adventure rides to sport touring. The torquey 471cc parallel-twin DOHC engine delivers the broad-spectrum power that Honda twins are famous for, while the CB500X’s upright handlebar naturally accommodates a wide variety of riders. You can adjust the compact windscreen to varying heights (plus it’s 100 mm taller this year), and the larger-capacity fuel tank is carefully shaped to give the rider an unrestricted riding position. New for 2016: A restyled LED headlight and taillight, a hinged fuel-tank filler cap, front suspension that’s now adjustable for spring preload, and a front-brake lever that’s adjustable too. 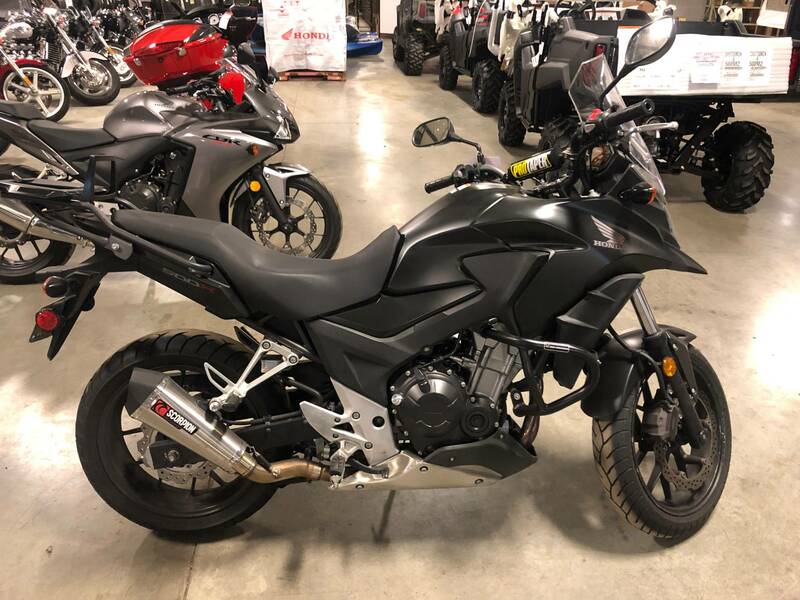 The CB500X is an excellent choice for riders ready to move up a displacement class, or for anyone who appreciates a great middleweight motorcycle. And the bike’s sharp, new styling this year makes a great choice even better! LED HEADLIGHT: With a clean new look for 2016, the CB500X’s LED headlight and multi-facet reflector give the front end a unique look and also project plenty of light on the road for visibility. ADJUSTABLE WINDSCREEN: Another upgrade for 2016, the CB500X’s windscreen is 100 mm taller this year for better wind protection, and is still adjustable so you can fine-tune your cockpit environment. UNIQUE STYLE: Even sharper looking for 2016 with new two-piece sidecovers that complement the CB500X’s dynamic adventure-bike style. 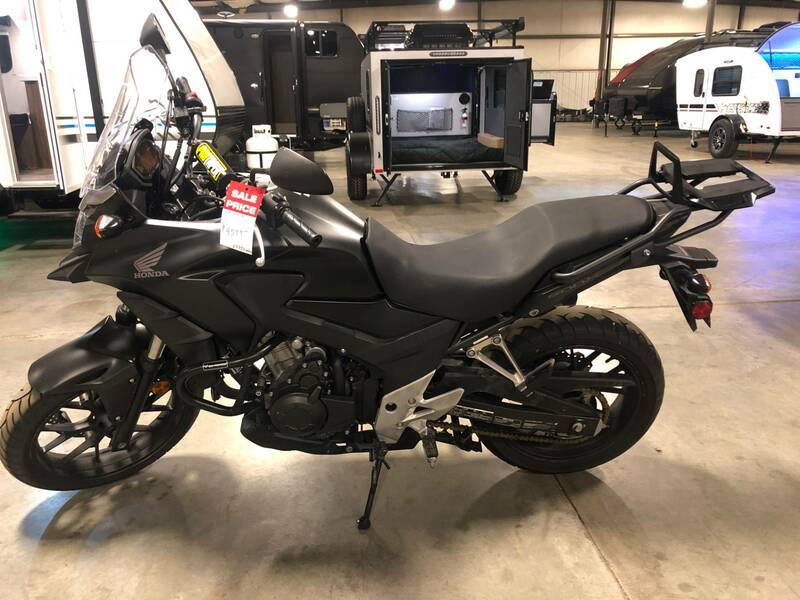 The CB500X has the posture of an adventure machine with a unique fuel tank design that offers the ability to freely move the body weight. LOWER COWL: The CB500X is equipped with a lower cowl to help protect the exhaust pipe and engine from debris when riding on rough surfaces. Air intakes are incorporated into the design to provide effective cooling.